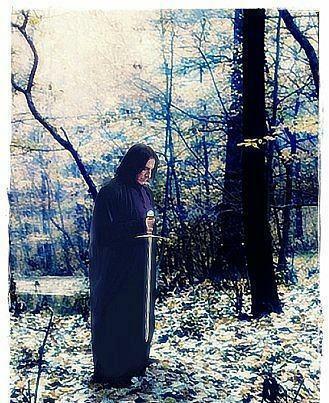 Severus Snape Sword of Griffindor. Snape holds the sword of Griffindor before placing it in the lake in Deathly Hallows part 1. Wallpaper and background images in the Severus Snape club tagged: severus snape harry potter alan rickman potions master proffesor.